This form is for placing a paid $25.00 Photo Ad (1.5" Wide X 2" Long) in our printed paper and 125X125 (mouse over size of 250x250) pixels online. Photo Ads placed after 2:00 PM on Tuesday will be placed in our following week's issue. Make your photo ad clickable (additional charge) from our website to your website or to your email address! Your $25 Photo Ad is searchable online! The search results will show your ad before any classified ads! NOTE: We do not accept personal ads or editorial ads. 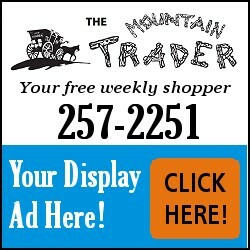 We do not accept advertising that directs ad to a Mountain Trader competitor's website. All ads and photos are subject to approval. All rates are per week for the subsequent number of weeks submitted. 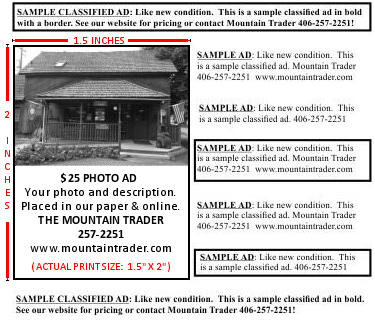 DISCOUNT: Add multiple spots of same ad for $12.50/ea in same printed issue. Your photo will be in black and white in our printed paper. 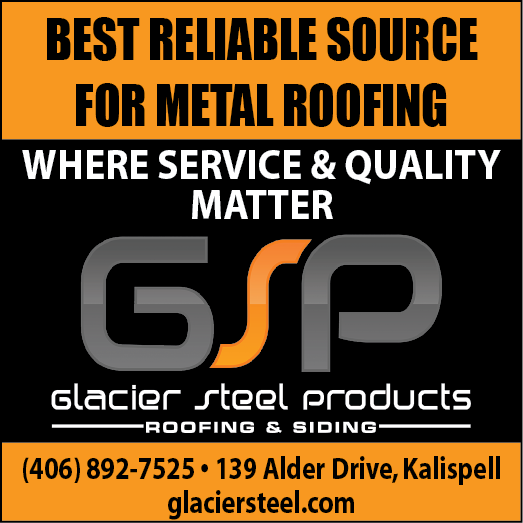 Online Ad is smaller with limited text and will be in color if your photo was in color - see side ads on this website page for sample online ads. Enter any editing notes for your photo. Example: cropping instructions, etc., if any. Do not enter your Ad Copy. Ad Copy is entered after your photo is uploaded. Click on "Upload Photo >>" to upload your photo.